It’s the (internet) age-old question…how can my business be found on Google? You understand to be found on Google you need to use SEO. And, you understand to connect with potential customers, you need to have a social media presence. 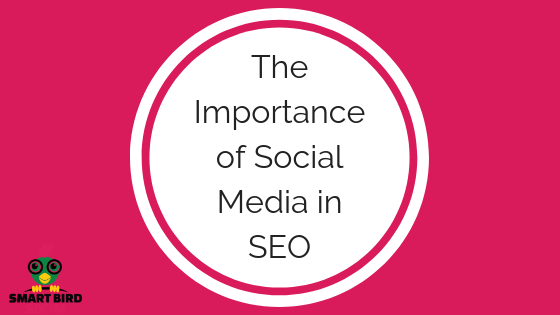 Have you ever considered the idea of using social media and SEO together? Check out the three main ways that social media and SEO are important, and why you should start caring now. Perhaps the most obvious benefit to social media SEO is that you can promote your content to your followers directly. You need not care about search at all. If your ranking is not especially high, or you are currently working on your SEO strategy, your great, keyword-optimized content will allow your hard work to be shown to your followers on several platforms. While inbound links do not pull as big of a punch as high-quality backlinks, it still can improve your bounce rate and website analytics. If people click your link from social media, chances are they want to read it! PRO TIP: Why not marry your content to social media even further? Create images or videos with quotes or snippets from your blog articles and share them together with your link. According to recent studies, visual content marketing has increased and is starting to play a bigger role in strategy and implementation. We all wish that we could have amazing social media accounts like Nike or Warbly Parker. However, the benefits of building your reputation on social media not only benefit you from a branding standpoint but also gives an SEO advantage! By posting consistent, relevant content to your followers will boost your awareness to those searching for your product or service. It also encourages Facebook, Twitter, and other social platforms to serve up more of your content to the newsfeed. More awareness means more brand name searches on Google for your website, and you also may earn a backlink or two. PROTIP: Create your profiles with keyword rich descriptions and link your social media profiles from your website. 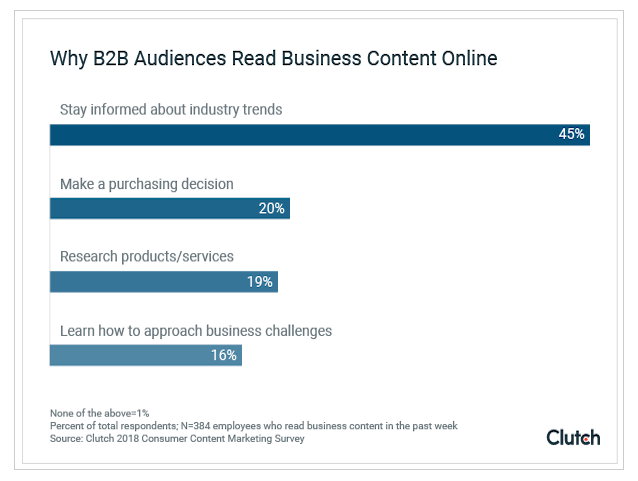 A Clutch B2B survey found that: 87% of respondents find business content using SEARCH — 85% find business content through SOCIAL MEDIA — 75% find content on company WEBSITES — That’s why we combine all three to deliver results! If you’ve ever searched for a company on Google, the chances are one or more of their profiles has appeared on the first page. This is because Google treats social media platforms like Facebook and Twitter just like any other web page. It can be confusing when talking about SEO and social media and how they work together. Although Google treats social media posts as individual web pages when it comes to search, Google does not rank those pages with the same rules that apply to SEO. Why? Probably the main reason, just like anything else, is that it can be abused. It’s way too easy to create links on social media that lead to nowhere. However, as pointed out above, links on social can drive traffic to your website, affecting SEO ranking, as well as create engagement. Engagement is something that Google DOES rank through their algorithm. A great post that encourages conversation will drive both! PROTIP: Don’t forget Google owns YouTube! Create a video snippet of your blog post and upload to YouTube including a keyword optimized title and description. Google will serve both your link and your video! Any method worth its salt is going to take time and patience. If it didn’t it would be called black hat…and Google doesn’t like black hat! High quality, well thought out content will win the race. Understanding and using social media and SEO together may just be the difference for your business name to show up on Google’s first page! Need help with social media visual content that increases the likeability factor and boosts your influence with your audience? Click this link to check out The Content Cure! Get 5 Free Social Media Graphics Each Month! The Importance of Social Media in SEO was originally published in Marketing And Growth Hacking on Medium, where people are continuing the conversation by highlighting and responding to this story.